Here is a collection of articles, blog posts, and videos that involve myself or my research in the public eye. The most recent pieces appear at the top. My article, “Here are the disturbing reasons ISIS marketing is so effective” originally published at Yahoo! Finance, was re-published in the September 8th edition of the Quantico Sentry newspaper at Marine Corps Base Quantico. The Quantico Sentry is a base newspaper that serves Marines in Quantico Va. It is a not for profit government publication. The 2016-2025 Joint Non-Lethal Weapons Program Strategic Plan quotes my Small Wars Journal article while discussing Unmanned Systems as strategic drivers. Sam Asano’s article, “Counter-measures needed for drone threat” contains some comments I made regarding UAS countermeasures. 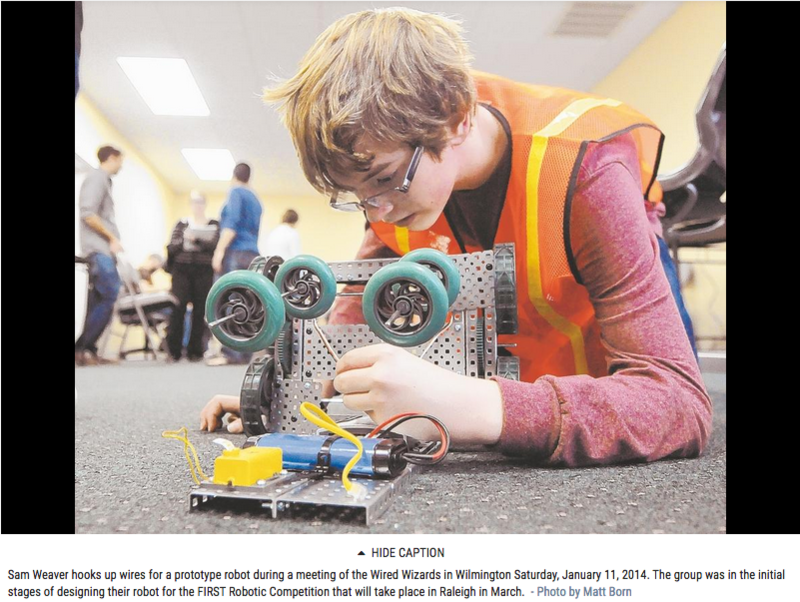 I have been mentoring the local FRC Team 4534 in Wilmington, NC since 2013. FIRST Robotics Competition (FRC) is a worldwide competition where high school students have 6 weeks to design, build, and program a fully-functioning, 120 pound, remote controllable robot to compete against other robots in a game of intelligence, cunning, and strategy. We are based in Wilmington, North Carolina, and we accept any high school student from any school, including home-school. In 2013, we successfully recruited 10 team members from 5 area high schools; secured a build space donation-in-kind with secure robot storage; recruited 15 mentors from five companies; raised $21,000 in donations and grants; and encouraged two of our seniors to pursue engineering degrees. We finished the Raleigh competition 19th out of 55 teams, 2nd out of 8 rookie teams, and averaged 1,100 hours of work per person. In 2014, we finished 21st out of 54 teams. On January 22, 2014, the team was featured in the Star News Online. The article by Rachel Huber can be read here. 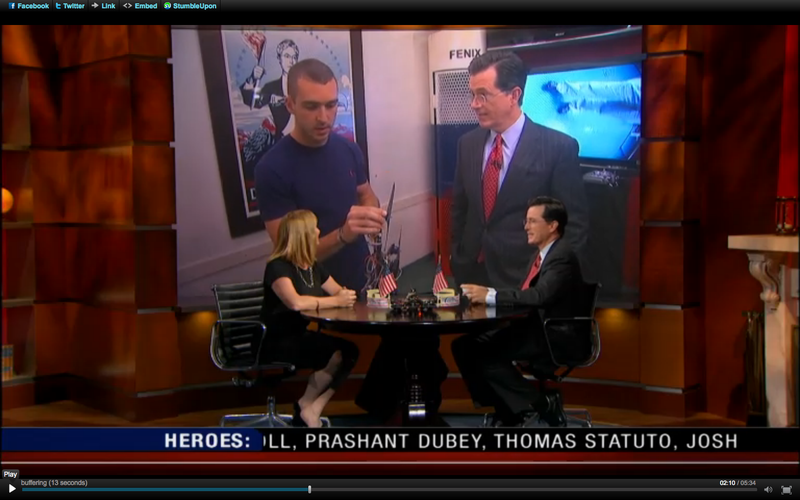 I assisted Professor Missy Cummings with her interview by Stephen Colbert on the Colbert Report. There is a short clip where I am flying the robot as well as where I teach Stephen to fly the quadrotor. This footage can be viewed here. During the end of the program, Stephen again attempts to fly the quadrotor. His attempt can be viewed here. Our work with Pilobolus began with initial proof of concept meetings and demonstration in September of 2010. This was followed by a choreography session involving myself, Daniel Soltero, Molly Gawler, Robby Barnett, Itamar Kubvoy, Mike Dostal, and Shane Mongar in November. Finial rehearsals were completed in December and our piece previewed at the amazing Cutler Majestic Theater. Molly was then replaced by Matt Del Rosario due to Molly performing with Shadowland in Europe for the summer of 2011. After teaching Matt the choreography and making some slight tweaks, we premiered Seraph at the American Dance Festival in June 2011 at the Durham Performing Arts Center. 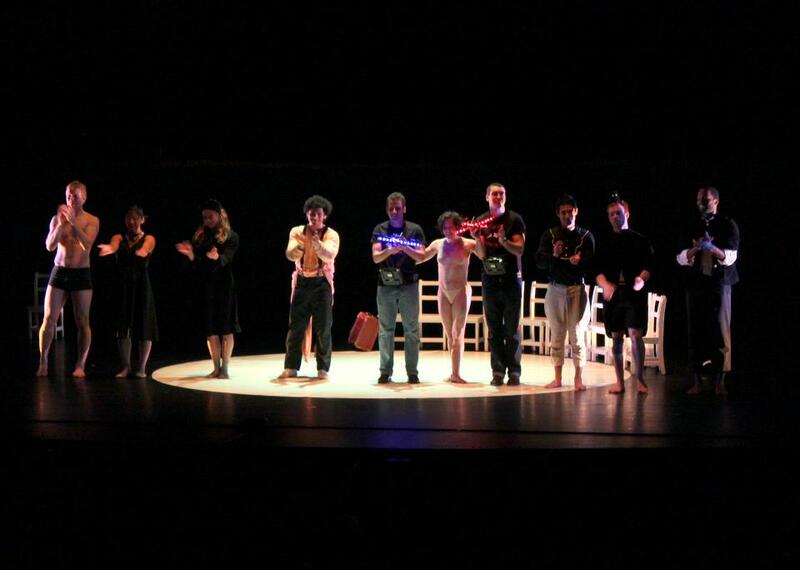 The piece was then performed at the Joyce Theater during July and August. My adviser and the MIT lead for this project, Professor Daniela Rus gave a talk at ICRA 2012 discussing the collaboration from an MIT perspective which can be viewed here. Nidhi Subbaraman’s NBC News article, “Broadway Bots: Robots Take Lead Roles in Drama, Startup” discusses several art and robotics collaborations including Seraph. The article first appeared February 17, 2014 and can be read here. In January 2014, MAKE Magazine ran an article, “By Wing, Wheel, and Wave,” for their Drone Special Issue. The article describes unique uses of remotely operated vehicles from all over the world. An electronic version of the magazine is available here and our feature is copied below. Eric Molinsky, reporting for the Studio 360 podcast, interviewed my colleagues Daniel Soltero and Itamar Kubovy for an episode titled “Drone Art” discussing the intersection of art and drones on September 27, 2013. Studio 360 is the Peabody Award-winning show and podcast about creativity, pop culture, the arts and ideas hosted by novelist and journalist Kurt Andersen. Studio 360 is a co-production of WNYC Radio and PRI. Our video for Seraph was entered in the second annual Robot Film Festival in New York City! The event features a wide range of videos involving technology and robots and we hoped our video was well received by the community. We ended up winning an award for “Best Robot Actor.” A picture of our Botsker is below, made by the folks at Makerbot. Harrison Weber posted about our collaboration on one of the top technology blogs called The Next Web and the post can be read here. 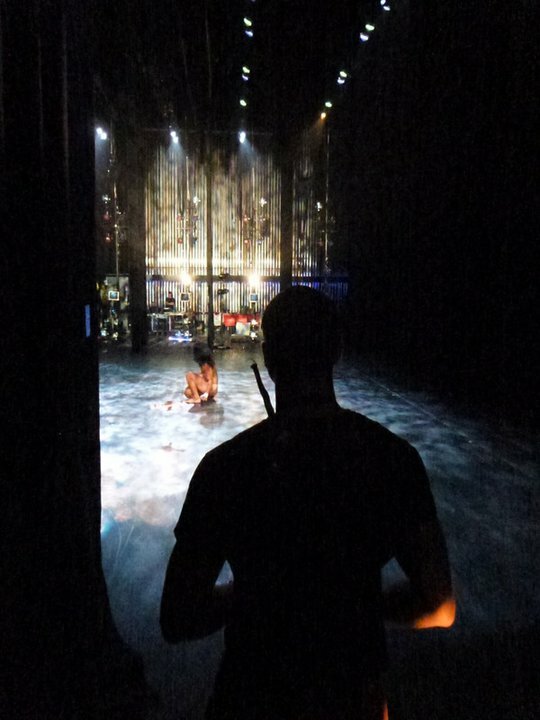 The Economist technology blog Babbage wrote a piece about our collaboration with Pilobolus and the creation of Seraph. The article can be viewed here. An article here by Torie Bosch appeared on Slate.com entitle “Robots in the Dance Troupe” discussing our collaboration with Pilobolus. The Examiner posted an article by Michael D. Jackson called “Pilobolus continues to defy expectations” reviewing the Pilobolus tour at the Joyce, including Seraph. The Wall Street Journal Metropolis blog featured an article about Seraph and can be seen here. The piece was written by Pia Cutton. The New York Times reviewed Serpah during our season at the Joyce which can be read here. The article is written by Gia Kourlas. The Pilobolus blog wrote a piece about our collaboration and the choreography process which can be accessed here. Here is a review in the Boston Globe of our first performance at the Cutler Majestic Theater as part of their Celebrity Series. Article is written by Thea Singer. A recording of the full performance can be viewed below. Due to the collaboration between the MIT Media Lab and American composer Tod Machover, H.S.H. 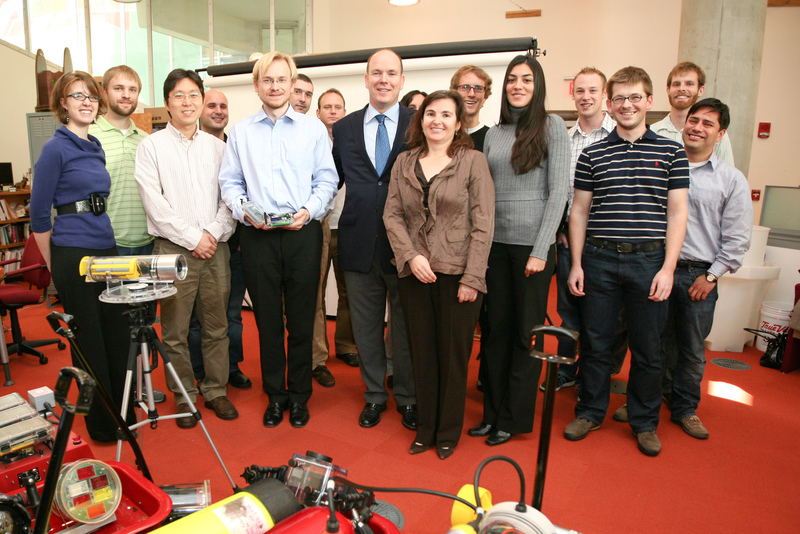 Prince Albert II of Monaco visited our lab at MIT. He and his staff were at MIT to discuss the Media Lab and Tod machover collaboration on a robot-human opera “Death and the Powers” while also looking at other robotics projects on campus. Our lab gave a live demonstration of the quadrotors to H.S.H. Prince Albert II and his staff while they were passing through CSAIL. This demonstration led to an invitation to the MIT Energy Initiative Futures Conference in Monaco from 23-26 September 2010 at the Oceanographic Museum of Monaco. Myself and several MIT Sea Grant students participated in the conference by demonstrating our respective projects. MIT Sea Grant students Mike Soroka, and marine educator, Sarah Hammond, were also at the conference to provide multiple demonstrations of Sea Perch, MITSG’s small, remotely operated vehicle used in education programs. Mike Soroka also demonstrated Reef Explorer II (Rex II) via internet with the help of MITSG colleagues overseeing the vehicle’s deployment in Gloucester, MA . Rex II is an autonomous robot submarine that streams real time video data and controls across the internet, enabling a remote user to interact with a sub sea telepresence experience. I demonstrated the quadrotor flying it manually while having a camera display real time live video on multiple displays throughout the conference area. I also presented a video encompassing several current robotics projects in the lab. Below is the complete video that was displayed for the conference. This video summarizes the current state of the art at DRL during the summer of 2010 and showcases my projects and that of my colleagues.